Western Digital announced today that it has reached an agreement with Toshiba Corporation to divest certain hard drive manufacturing assets in order to meet the requirements of regulatory agencies reviewing the company's pending acquisition of Hitachi Global Storage Technologies. As part of the deal, Toshiba will acquire manufacturing and related intellectual property from Western Digital for 3.5-inch hard drives used in desktop PCs and consumer applications, as well as the firm's near-line storage unit for server applications. Western Digital also announced that it has agreed, subject to completion of the divestiture transaction, to purchase Toshiba Storage Device Thailand (TSDT), a hard drive manufacturing facility that has not yet resumed operations after last year's floods in Thailand. The company plans to integrate TSDT facilities and employees into its existing operations in Thailand. Financial terms of the agreements were not disclosed. Western Digital announced plans to acquire Hitachi GST roughly a year ago in a cash and stock deal valued at $4.3 billion. If the merger completes, there will be only three major HDD manufacturers left in the world, with Western Digital and Seagate taking the lion's share of the business while Toshiba holds to a relatively small ~10% market share. 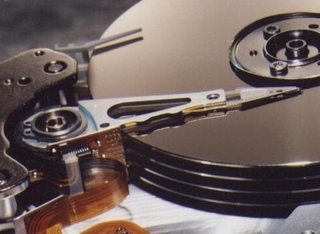 Seagate completed its acquisition of Samsung's hard drive division late last year. The news comes amid a busy last few months for hard drive manufacturers recovering from a series of floods that struck Thailand last year. It also follows an arbitration award in November ordering WD to pay Seagate a hefty $525 million in damages for allegedly coaxing "confidential information and trade secrets" from a former Seagate employee. Western Digital has denied those allegations and it plans to contest the ruling.